We’re celebrating the honor of 14 covers with Bridal Spectacular and Spectacular Bride Magazine! Each year the Bridal Spectacular/Spectacular Bride Magazine hosts their annual multi-day photo shoot for their covers. This year’s photo shoot featured several Las Vegas landscapes including Spring Mountain Ranch, Nelson’s Landing, Reflection Bay at Lake Las Vegas, Valley of Fire, the Las Vegas Strip, Downtown Grand, and the Arts District. The annual shoot highlights everything from the latest in bridal couture, beautiful hair and makeup styles, bridal trends, exquisite photography and MORE! 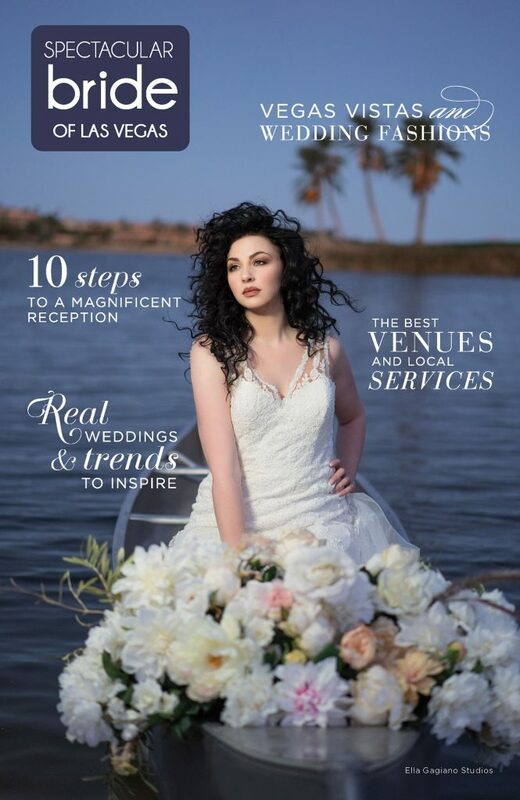 For 2019 Hair & Makeup artistry from Makeup In The 702 is featured on the Spring 2019 issue of Spectacular Bride Magazine which will be available at the upcoming Bridal Spectacular Wedding Expo on January 26-27 at the Rio All Suite Hotel in Las Vegas, Nevada. Additionally, Makeup In The 702’s stunning bridal looks will be featured on the Summer 2019 Issue and the Winter 2019 Edition. All of the bridal looks created by Makeup In The 702 shown on the 2019 covers were created by Mac Cosmetics. As leaders in the Las Vegas wedding industry Makeup In The 702 is Las Vegas’ premier team of on location hair stylists and makeup artists. But don’t take our word for it, 2500+ reviews can’t be wrong! Read our reviews on The Knot, Wedding Wire and any of your favorite social media channels. Experienced, Passionate, Professional… We are Makeup In The 702! Let’s Chat About Your Day! Request your custom proposal TODAY!! Follow us on Instagram for daily bridal beauty inspiration!